Cal Aero Events is a unique wedding venue in Southern California. 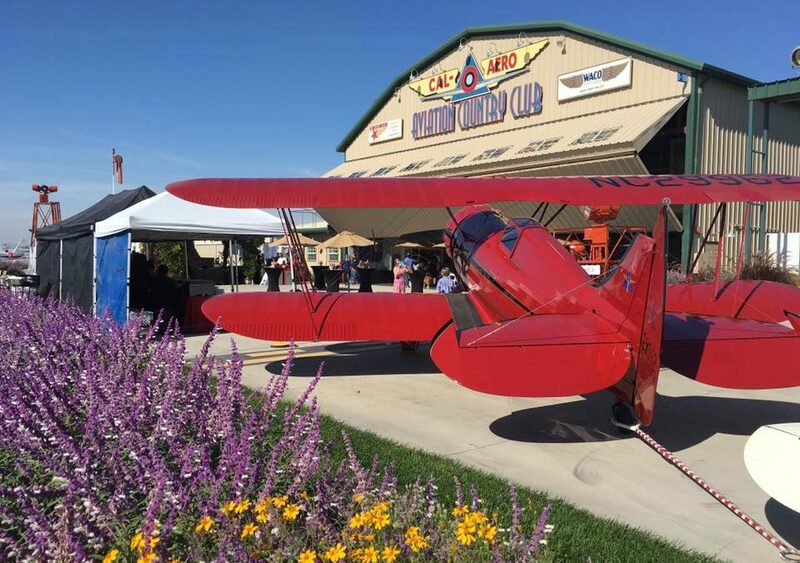 This unique building – a true aviation hangar turned into a unique venue for special events –offers an unforgettable setting not available elsewhere. But despite a non-traditional look, it hosts a variety of quite traditional events such as weddings. 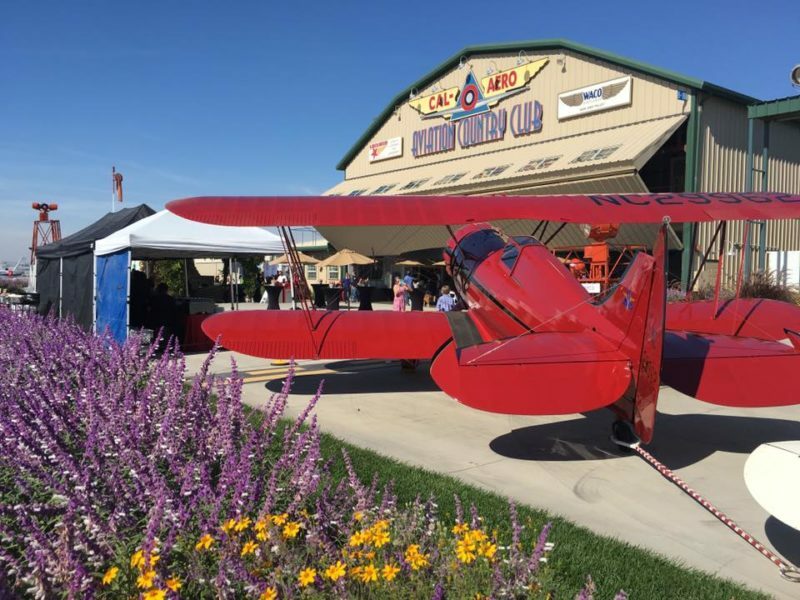 Many couples choose to use our vintage airplanes to be taxied into the event for an impressive entry. Airplanes are also available for displays and photo backgrounds. Recent Webster-Johnson recent wedding was one of many memorable weddings that take place weekly at this unique wedding venue in Chino and Chino Hills area in California.The couple exchanged vows outside in a beautiful ceremony in the patio area naturally decorated by Wisteria plants and flowers. Numerous relatives and friends were present to celebrate such an important event and to congratulate bride and groom.The reception took place inside the Cal Aero Aviation Country Club that was tastefully and elegantly decorated with tables and halls elegantly dressed in beautiful grey, white and gold colors. Seating arrangements allowed plenty of room for guests to move around, socialize and dance. A four-course delicious catered dinner was served and a beautiful traditional wedding cake was offered after the dinner. Mountain backdrop and sunset sky make a beautiful setting for the First Dance. We wish the best to the newly weds!